If you’re looking to experience New York City but don’t quite have the finances to fly out just yet, you need to hit up the specially curated New York food festival at Eggspectation. 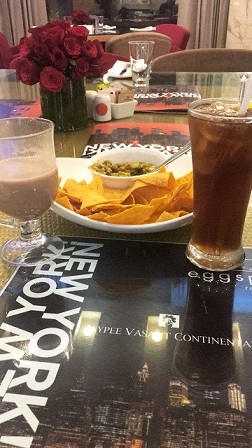 The internationally renowned Canadian-style restaurant boasts locations all over the world and is located at Jaypee Hotels in Rajendra Place, Greater Noida and Vasant Vihar in New Delhi. 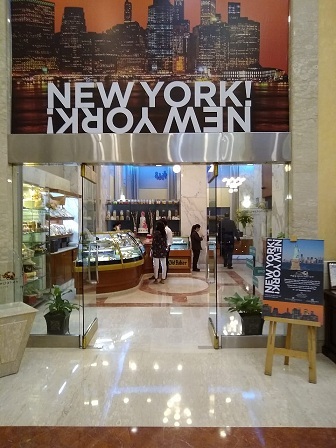 The MH India team was invited to an exclusive evening of New York-themed cocktails and food at Jaypee Vasant Continental entitled New York, New York after Liza Minelli’s song of the same name. 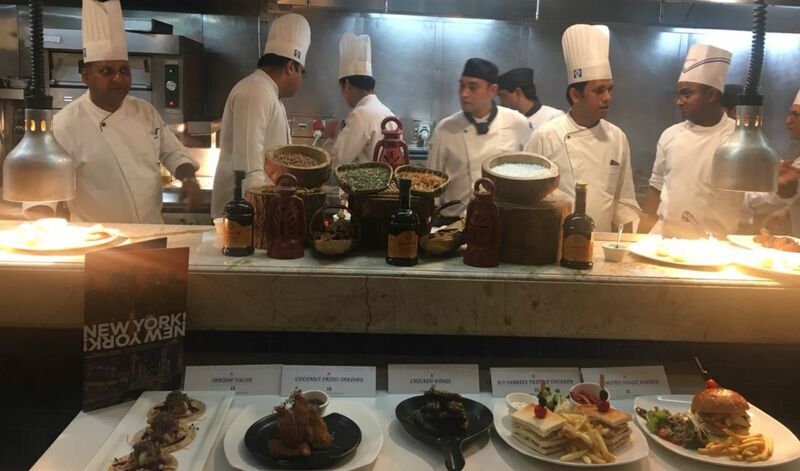 The restaurant’s CEO Enzo Renda explained to us the inspiration behind bringing the tastes of New York to New Delhi, his experience catering to the Indian palate and his personal recommendations off their extensive menu! MH India: First of all, for those of us unfamiliar with the concept, would you mind explaining what Canadian style dining is? Enzo Renda: Actually, Canadian style dining is the same as American style dining. They’re both blends of the world, something that our menu represents. There’s a mix of most of the cultures, more focused on European. 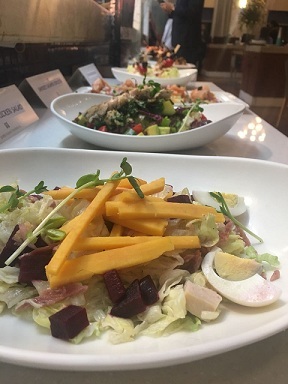 Just like American cuisine, Canadian cuisine has a blend of Italian, French, some Greek, some Portuguese (we have Portuguese shrimps on the menu). Then there’s the North American trend, which is the brunch section of the menu. It’s almost like ‘the world on a platter’, but not the whole world because we’d need a Bible to cover the whole world! It’s really those countries I was influenced by, so mainly Europe. If you look at the food culture today, it’s mainly the way Canada and the US are cooking. I was in London a month ago scouting for a new location there and it’s the same there—Argentina, Italy, America, it’s all there on one menu. So technically Canadian and American food culture have become a standard in the culinary arts because they’ve been influenced by so many cultures that people who immigrated there brought with them. So how do you think the taste of Canada, the US, and the rest of the world will go down with the Indian palate? I’ve been here 18 years and it’s been doing really well! I don’t even have to prove it any more, it’s been proven! Like I said before, New York is really a global city and by holding this food festival here I’m paying a compliment to New Delhi. I believe New Delhi is as globalised as New York City and represents India just like New York represents the United States and the food trends follow that. You guys have beautiful restaurants here from all over the world, the only difference is that it’s either Indian food or a Michelin star something. This is a bit more for everyone to enjoy, it’s trendy and comfortable—like fashion. 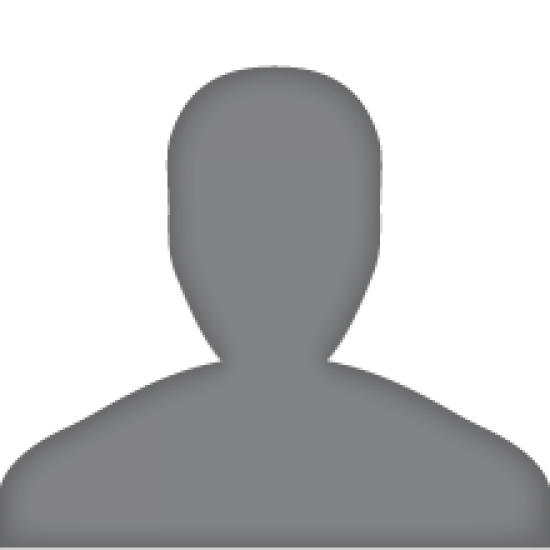 Are you planning to expand further in India? There are no plans right now. I have two to three units pretty much everywhere—India, Dubai, Qatar, Europe, Canada and the US. These locations are all franchise-based—all these locations, including the Jaypee Group (their architect had an office in Montreal) came to us to ask whether we would like to try in these countries. We said yes once, then twice, and so on! That’s how we’ve been expanding—London was the only location we went after ourselves because we felt we needed a flagship to penetrate Europe. Is the Eggspectation menu uniform in every country or it is influenced by the different locations? We had to make sure that the menus were regionalised—not per country but per region. Not less than 50 per cent is our standard menu and then we try to adapt to the local culture. That doesn’t mean a nice word I learnt 18 years ago in New Delhi—”Indianised Food”. That’s one thing we’ve never done and will never do. Similarly if people in another country don’t like something then that goes off the menu and we’ll try something else. As I’m an Italian, you’ll see our menu is heavily influenced by Italian cuisine. We have excellent pastas made in my mom’s tomato sauce using her recipes—as simple as it gets. But just because Indians like spicy food I won’t tell them just to throw chilli flakes or garlic in there. We try to be as authentic as we can. Are there any dishes on the menu that have been influenced by India? That’s a great question—we have burgers that have some Indian flavours. The bread is the only thing that’s not Indian. If we’re going to fusion items, we fusion them nicely without “Indianising” them. You spoke about changing the menu based on how a dish was received—how often has that happened in India and in other locations? Yes, we were changing the menu every year earlier! We try to evolve it every year, removing and adding new things. As I travel, I see and try new dishes and sometimes I think, “You know what, that might adapt to India.” So what you’re getting is some dishes that I tried in Dubai and some in the US. I’ll be back in a year because there’s a lot more coming! I’m directly involved with the development of the menu, very hands on. We’re still a small company—only 27 restaurants. To me the menu is the core of the business. I’m not a trained chef but I’ve been in the restaurant business for 35 years, and I’m a born and raised Italian so the food comes natural to me. We know it’ll be a distant second favourite after Italy, but where do you really enjoy eating? Actually, I believe that since I’ve been traveling the best food I’ve had is in the city I’m in because I search for good food. So I’ve had the best food in the United States, in Canada, in New Delhi, in Dubai. So it’s very difficult to say because I’m a foodie, I love to eat and I’ll find very good food everywhere I visit and it’s been the same in New Delhi. Since we’re from Men’s Health, we have to talk about nutrition and health. How seriously do you take health in the items that you offer on the menu? All over the world the health consciousness of our food is very important. Healthy eating used to be counting calories, butter is no good for you and thing like that 15 years ago. Now, the trend of healthy is wholesome and natural—real food is the best way to put it. I believe that if I’m giving you fish, it has to be a real good fish! We try to adapt depending on where we are as best as possible. For example, we have free range eggs in the US which aren’t as easy to locate here. However that doesn’t mean we don’t pay attention to it because I think it’s very important. It’s the consumers that’ll drive the healthy aspect because an increase in demand will drive restaurateurs to ask their producers to produce healthy products. Finally, as a foodie and as the CEO, what dishes would you recommend off the menu? I mentioned the Italian part, but we also have French influences because we’re in Montreal. The Eggs Benedict is our signature dish because we have so many different kinds—we have 15 different Benedicts in some countries! Benedicts are our number one product that we’re proud to serve. Our crepes are also very strong and our pancakes and waffles make great desserts too. Our French toasts are also great, done with real brioche bread. Our burgers are also made with brioche too. It’s very French—imagine marrying the American burger with the French brioche bread, and adding the Indian influences to make a trio! 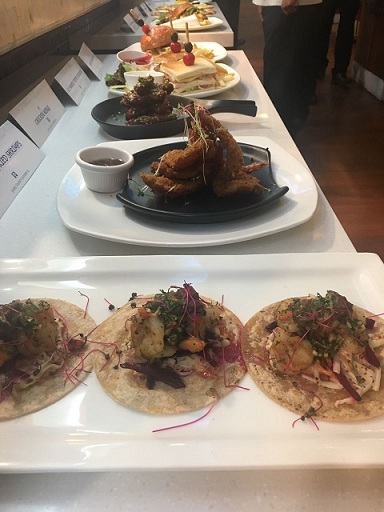 I would also personally recommend the shrimp tacos—you’ll see some great Argentinian and Mexican influences in them. Is The ‘Ugly Dad Sneaker’ Trend Here To Stay?